Advances in gene transfer technologies have led to the strategy of combining gene-based therapies with cell-based therapies. Most recently significant clinical advances have been made in both CAR-T (Chimeric Antigen Receptor) and engineered TCR (T-Cell Receptor) products, and in 2017, two CAR-T therapies were approved by the U.S. Food and Drug Administration. While they differ in their mechanism of action, both CAR-T and TCR products are produced in largely the same way: A patient’s white blood cells are collected in a clinical setting, sent to a centralized manufacturing facility where the T-cells are isolated and transduced with viral vectors to express the gene of interest, the cells are expanded over a period of days, cryopreserved, and returned to the patient for thawing and infusion. This is what is known as Autologous Engineered T-Cell Therapy (AETCT, for short, for the purpose of this article). A number of early stage biotech companies, including Adaptimmune, are developing AETCT therapies, and many of them are quickly moving toward late-stage trials aiming to make the products commercially available to patients in the near future. To do this, the companies must rapidly grow their manufacturing and supply chain teams to enable the complex operations required of AETCTs. Drawing from Big Pharma is natural when looking to build teams to bring products to market; those people have “been there, done that.” However, the manufacturing and supply chain challenges are so unique that in many ways much of what was considered standard practice in late stage and commercial pharmaceutical supply chains does not apply, and new approaches must be developed. AETCT Supply Chains: What’s so Different? No inventory of a key starting material: Manufacturing cannot start until the patient’s cells are collected and delivered (via cold chain transportation) to the manufacturing site. Any last-minute changes to the collection process or timing has ripple effects on downstream manufacturing and supply planning. Variability of starting material: Every patient’s cells are different, making process characterization and standardization difficult. In particular, the variability of starting material associated with solid tumors (such as those Adaptimmune is targeting with their SPEAR T-cell technology) is very high. As companies work to gain process knowledge and control, this increased variability creates uncertainty of supply. Make to order vs. make to stock: When dealing with traditional pharmaceuticals, production is planned based on replenishing drug product inventories, the levels of which have been set to ensure adequate supply to meet patient demand. Safety stocks are typically high, since the economics are such that a lost sale or inability to meet a patient need outweighs the costs of capital needed to hold inventory. For AETCTs, there is no finished goods inventory. While made-to-order products are common in other industries, most pharma supply chain professionals have not had to manage the complexities of a made-to-order process. Short cycle times: It is possible for biologic products to have cycle times as long as six to eight months from the start of manufacturing through to the final product being released for supply. This means that supply chain challenges (deviations, manufacturing delays, transportation issues, etc.) can typically be overcome and any lost time can be made up at another point in the supply chain. And when it can’t, the cushion of drug product inventory protects the patient from any supply interruption. For AETCTs, the “vein to vein” time (the time from cell collection to infusion) must be on the order of several days to a few weeks due to the fact that patients, currently, are at a late stage of the disease. Any error or delay in delivery can have severe consequences for patients. As an example, it is standard in pharma that when a deviation in manufacturing happens, the investigation into the root cause should be completed within 30 days. Corrective and preventative actions resulting from the investigation may take weeks or months to implement, but with drug product inventory available this delay does not impact patient treatment. With AETCTs, however, these issues must be addressed within days. This is to ensure resolution of the issue in order to get the product to the patient on time, as well as to address the problem before the next patient batch is manufactured days later. “Make vs. Buy” decision: For a typical early stage biotech, the strategy is to “buy” first, outsourcing manufacturing and analytical development to CMOs/CROs until products are further through development and the risks of failure are lessened. For biologics and small molecules, the market of CMOs/CROs who can provide such services and bring decades of experience to bear is significant. For AETCTs, the entire industry is relatively new. This means the market of CMOs, CROs, and service providers are nearly as immature as the product developers themselves. Many small AETCT companies are finding that the risks and challenges of working with immature CMOs/CROs are too great and are choosing to “make” instead of “buy” at an earlier stage of development. For AETCTs, even running a small trial of 50 to 100 patients means 50 to 100 batches. Very quickly the organization must add capabilities to manage multiple batches, often internally, with new processes and new technologies. Paper-based systems with only a few people to manage the process are quickly overwhelmed, and investments must be made in the right size team and enabling technologies much earlier in the development lifecycle in order to manage the complexity. Supply chain risk mitigation: In pharma, drug product inventory has been the default supply risk mitigation solution. The riskier the supply chain, the more drug product inventory is carried. If companies are fortunate enough to have commercial blockbusters, they begin to mitigate their supply risks with other levers (e.g. multiple manufacturing sites, second sources of raw materials, etc.). It can be a big investment in time and resources, but for many products this investment is worth it. For AETCTs, the implications of lack of supply on both the patient and the company can be just as great, but the easy lever of inventory is no longer available to reduce risk. This raises many questions on how to mitigate risk and when. 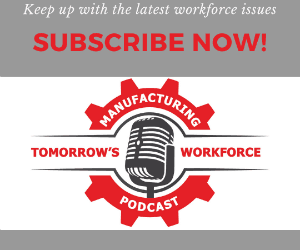 For clinical supply: Should we have multiple manufacturing facilities? Most of the product development is done with research-grade reagents and components. Should we have multiple suppliers of key GMP materials, investing time and resources in contracting, supplier audits, comparability studies, and regulatory filings to reduce the supply risk to an acceptable level? What is an acceptable level? These questions must be considered and addressed while still in an early stage of development. Manufacturing capacity strategies: As mentioned above, for a typical trial of a pharmaceutical or biological treatment the developer will produce one or two clinical batches of drug product, then open as many clinical sites as possible. The objective is “speed to clinical data,” enrolling the trial as quickly as a company can to minimize the duration of the trial and thus the cash burn. Even with the smaller number of patients in a typical AETCT trial, the “one patient, one batch” characteristic creates a challenge. If a trial is designed to enroll 100 patients, should you build the capability to dose all 100 patients within one month? Three months? Six months? The manufacturing processes for AETCTs are currently still largely manual, taking place in aseptic clean rooms and being performed by specialists who require up to four or five months of training before they are able to perform the process. If you plan to meet the most optimistic enrollment projections, you could have a lot of expensive idle capacity. On the other hand, if you try to manage demand more evenly, how do you engage investigators to identify patients, only to tell them that it will be months before they could be supplied due to limited manufacturing capacity? This issue is one of the biggest challenges facing AETCT companies, and one that many pharmaceutical supply chain professionals have never encountered. Old ways of planning do not apply. In addition to T-cell manufacturing capacity, companies must consider viral vector manufacturing as well. The vector is a critical raw material, requiring long cycle times (greater than four months, typically). Vector capacity in the market is scarce, with the manufacturing process being variable. As a result, it is a significant contributor to cost of goods. Companies must determine if and when to invest in purchasing vector inventory, how much to purchase to mitigate supply risks, and if they should invest in internal manufacturing capability. Aseptic operations are critical to ensuring product safety. With an embryonic market for supplies and services for late stage AETCT products, a small handful of professionals who have any experience with AETCT supply chains, and no roadmap for solving these issues, it is imperative that AETCT companies hire the right talent and create the right culture to be successful. At Adaptimmune, we look for people who have some late stage and commercial experience, but we are mainly focused on building an organization based on collaboration, innovation, accountability and resilience. Collaboration: Manufacturing and supply chain have always been highly collaborative, working across multiple functions and geographies to ensure products make it to patients. With growing companies in the AETCT space, it is even more important that our teams can work together on unique problems. In particular, the interaction between clinical and commercial operations teams and supply chain teams must be more collaborative than ever due to no drug product inventory “buffer” between the patient and manufacturing. Supply chain professionals must learn about clinical operations and connect with investigators and clinical sites to coordinate the supply chains, and clinical teams must learn about manufacturing processes to better educate their stakeholders. Innovation: Not only is the science of AETCT products cutting edge, the supply chain must be as well. We have to look to other industries for examples of how to manage in this new way, and in many cases find completely new tools, technologies, and processes to address these unique challenges. Accountability: For every pharma company, including AETCT manufacturers, the patient is at the heart of what we do. But for us, and many AETCT companies, this fact has a much deeper reality: Our manufacturing and supply chain teams realize there is no room for error in working to bring these products to patients. They are aware that every batch is a made up of an individual patient’s cells, and that they are responsible for executing at the highest levels of quality and accountability to make sure the patient gets their cells back. Without this high level of accountability to the patient and to colleagues in the supply chain, the risks are too great that the promise of these therapies will not be met. Resilience: It goes without saying that AETCT products are frontier science and there will be many hurdles along the way toward a commercial product. Manufacturing and supply chain professionals who pick up the challenge of creating new supply chains to meet the needs of patients must be able to recover quickly from setbacks, keep focused on the long-term goal, and bring an energy and positivity to their work. When looking at what we are facing, the manufacturing and supply chain challenges can seem insurmountable. However, with the right team and the right culture focused on solving these issues there is no doubt that viable solutions can be found so that these truly game-changing therapies can be delivered safely, effectively and efficiently to patients around the globe.